Kolkata: For the first time since the exodus of over five lakh Rohingya Muslims from Myanmar's Rakhine state to Bangladesh, Nobel Peace laureate Aung San Suu Kyi visited the area on Wednesday, unannounced and escorted by the army. It was her first trip in office to the region. Before she was elected, she had been there once during her 2015 poll campaign, at which time conflict between Rohingya and Buddhists already existed. Government officials have said that the visit was unannounced for security reasons. 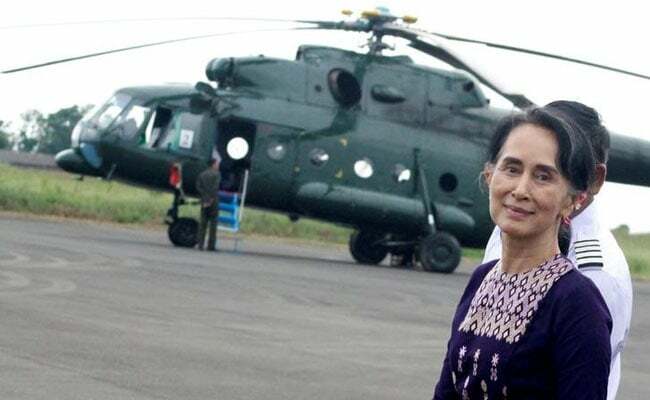 Ms Suu Kyi's first stop was Sittwe, where she was seen at 9 in the morning taking a helicopter with two dozen people to Maungdaw and Buthiduang. Among the people accompanying her were Rakhine Chief Minister U Nyi Pu, Minister of State Counsellor's Office U Kyaw Tint Swe, and Social Welfare Minister Win Mya Aye. Also with her was prominent Myanmarese business tycoon Zaw Zaw. He is the chairman of Max Myanmar Group of Companies with interests in construction, hotel, rubber, banks and energy. He is said to have had close ties to key figures from the former ruling military junta. Ms Suu Kyi has come under immense pressure from across the world on the Rohingya issue. There have been calls for her to return the Nobel Prize for Peace, and her alma mater Oxford University has removed a painting of her from the campus. She has not commented on her visit to Rakhine yet. While five to six lakh Rohingya have fled, she is believed to have met with some who have stayed back. Social media has several pictures of her speaking to the villagers. According to some reports, she told the people that the government is there to help them and that they should live peacefully and not fight each other. However, this could not be independently confirmed. Ms Suu Kyi has been criticised across the world for her silence on what the United Nations has called ethnic cleansing of Rohingya. After months of silence, she addressed world diplomats in Yangon, saying Rohingya would be repatriated after verifying their identities. Even Bangladesh has expressed willingness to start talks with Myanmar to implement a mechanism for repatriation. However, there has been no movement on this yet. An estimated six lakh Rohingya Muslims are already in Bangladesh's Cox's Bazar district. 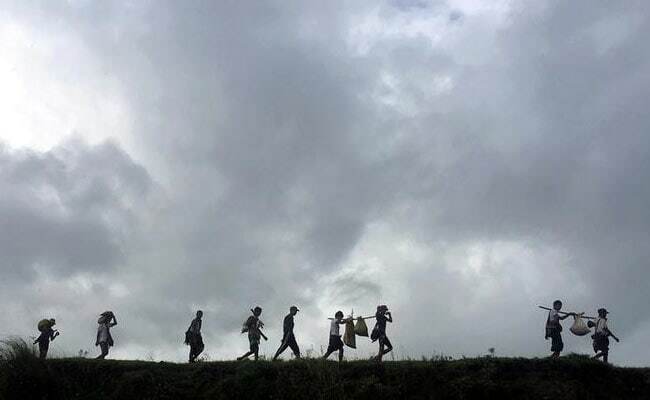 According to some news agencies, Rohingya Muslims entered the country as recently as this week, across the River Naf.